Humility is not our culture's most valued asset or most desired character quality. But, humility is what is demanded — not so much because it's commanded (though that would be enough), but because we've "earned" our need of it. Every year brings another wave of major failures in morality, character, and spirituality. Even on our best days, we all fall short of God's holiness. Rather than progressing culturally, we find ourselves slipping. Our need to approach God with humility is "earned"! 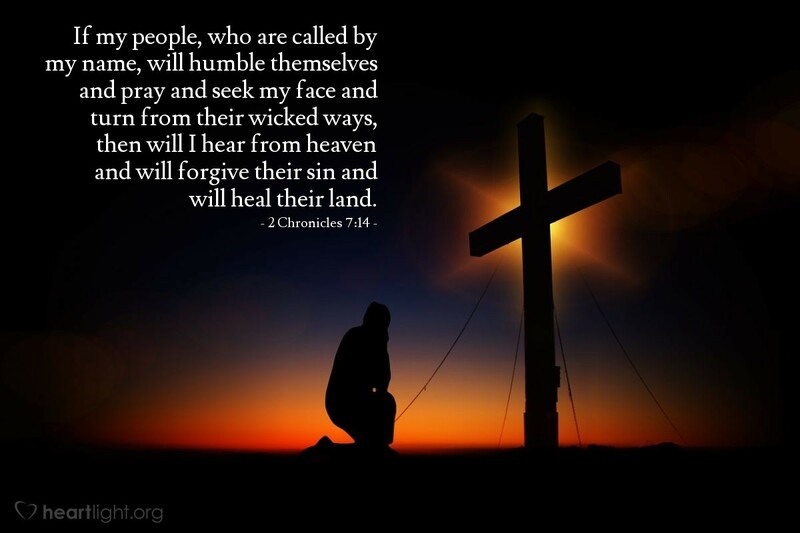 So let's be humble and call upon the Lord, throwing off our sin and seeking after him! Holy and Almighty God, your deeds are awesome, your faithfulness is overwhelming, and your mercy and grace are such blessings. Yet I come to you knowing that you hear me, despite the incredible distance between you and me, between your worth and holiness and my lack. I confess that I, and my culture and country around me, have made a mess of what you so wonderfully blessed us with. I come humbling asking that you reassert yourself in our nation at this time in clearly recognizable ways. I ask this in faith through Jesus' name. Amen.